…to inspire each learner and provide educational services that nurture their social, intellectual, emotional, and physical growth. 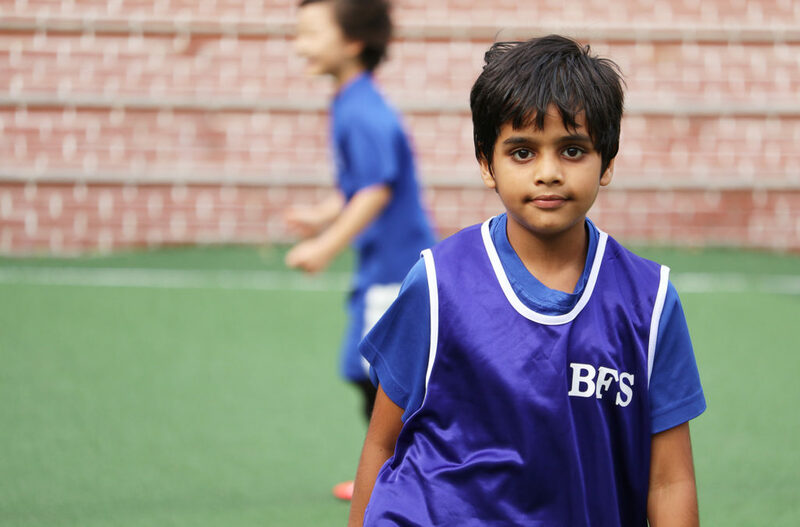 BFS students are prepared to enter top universities worldwide and become responsible, contributing citizens in a rapidly changing world. 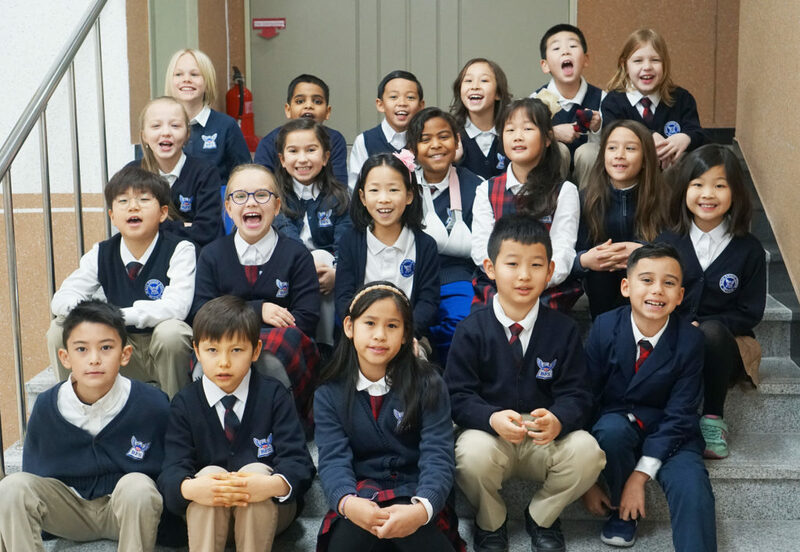 Our ongoing commitment to intercultural understanding and a strong partnership of students, parents, and teachers allows us to achieve this in a caring and supportive environment. Our rigorous program is based on the challenging Common Core State Standards for Literacy and Mathematics. 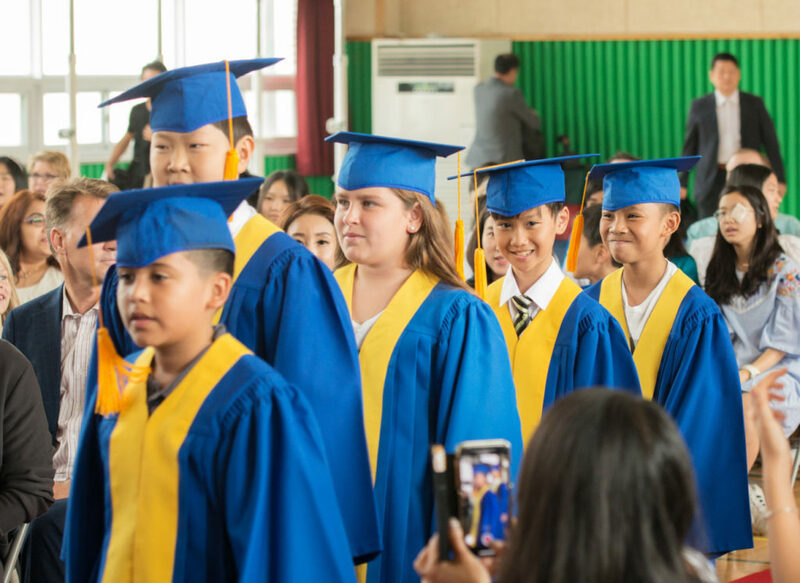 For Social Studies, we follow the AERO Standards from the US Department Of State’s Office of Overseas Schools. Finally, in Science we base learning on the innovative and challenging Next Generation Science Standards. 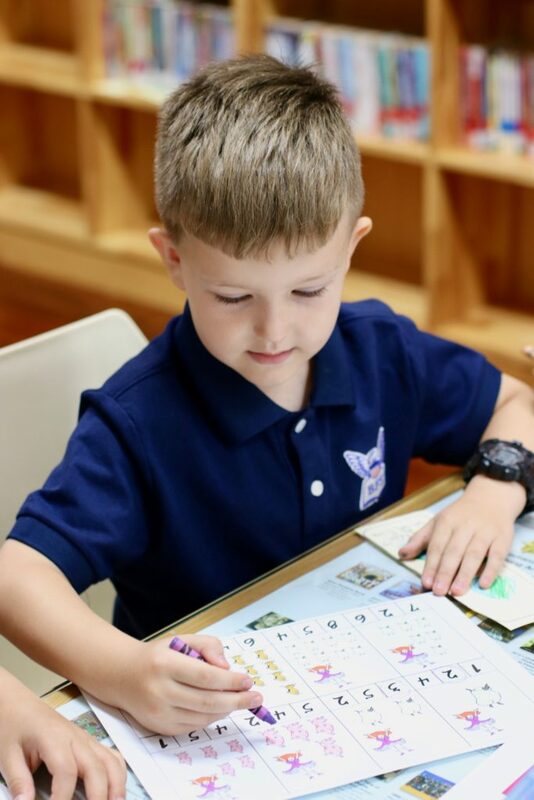 BFS teachers utilize an elementary curriculum with high-quality, standards-based materials to inspire each learner in their social, intellectual, emotional, and physical growth. The Columbia University Teachers College Reading and Writing Project helps students to become avid and skilled readers, writers, and inquirers through mini-lessons, work time, and share time supported by classroom libraries and units of study. 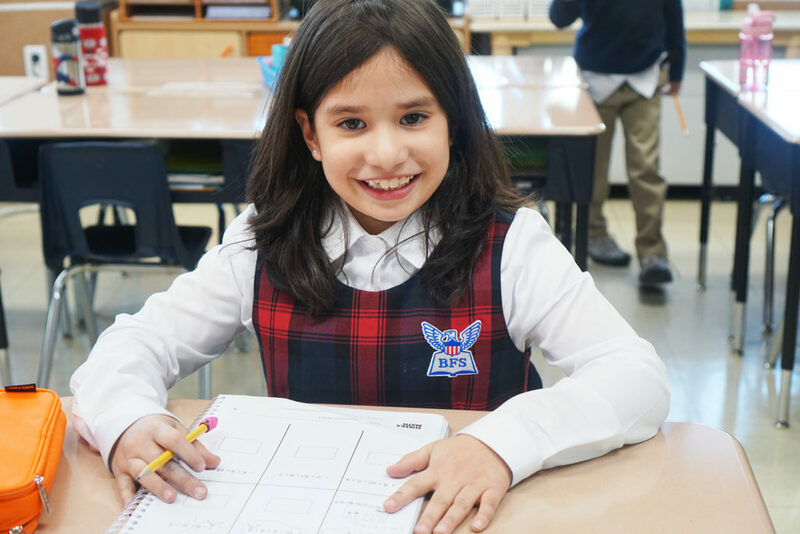 Eureka Math, the most widely used math curriculum in the U.S. and the only curriculum fully aligned to Common Core, connects math to the real world and builds student confidence to achieve true understanding. Elementary students are also provided with high-quality instruction from specialist teachers in rotations for Physical Education (P.E. ), Library/Media Center, Computer Science, Art, Music, and Foreign Language (Spanish or Korean) to ensure their well-rounded development. Health lessons are based on the Health and Fitness curriculum from Harcourt School Publishers and encourage students to make healthy life choices. Social Studies Alive! and Bring Science Alive! from TCI— a curriculum designed by teachers — engages all students in practice, real-world lessons. The Common Core State Literacy Standards clearly define what a student should know and be able to do by the end of each grade from K through 12. They prepare students who are prepared to meet the demands and rigors of college and career. 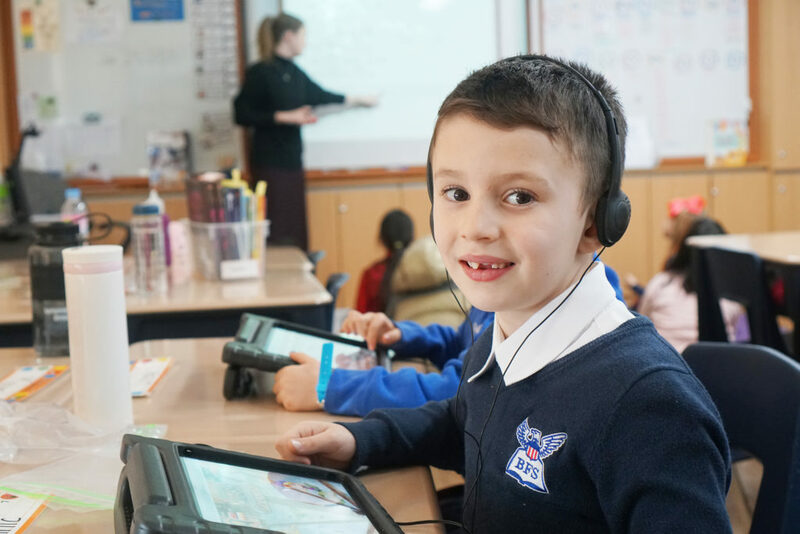 As students advance through the grades and master the standards in reading, writing, speaking, listening and language they are able to exhibit with increasing fullness and regularity these capacities of the literate individual. In Kindergarten, instructional time focuses on two critical areas: (1) representing and comparing whole numbers, initially with sets of objects; (2) describing shapes and space. More learning time in Kindergarten is devoted to number than to other topics. Developed in 2011, the Next Generation Science Standards are based on the Framework for K-12 Science Education developed by the National Research Council. These standards build concepts coherently across K-12 by focusing on a coherent progression of knowledge. Within the NGSS, engineering and scientific inquiry are both valued equally. In Grade 1, instructional time focuses on four critical areas: (1) developing understanding of addition, subtraction, and strategies for addition and subtraction within 20; (2) developing understanding of whole number relationships and place value, including grouping in tens and ones; (3) developing understanding of linear measurement and measuring lengths as iterating length units; and (4) reasoning about attributes of, and composing and decomposing geometric shapes. In Grade 2, instructional time focuses on four critical areas: (1) extending understanding of base-ten notation; (2) building fluency with addition and subtraction; (3) using standard units of measure; and (4) describing and analyzing shapes. The Columbia University Teachers College Reading and Writing Project model helps students to become avid and skilled readers, writers, and inquirers through mini-lessons, work time, and share time supported by classroom libraries and units of study. In Grade 3, instructional time focuses on four critical areas: (1) developing understanding of multiplication and division and strategies for multiplication and division within 100; (2) developing understanding of fractions, especially unit fractions (fractions with numerator 1); (3) developing understanding of the structure of rectangular arrays and of area; and (4) describing and analyzing two-dimensional shapes. In Grade 4, instructional time focuses on three critical areas: (1) developing understanding and fluency with multi-digit multiplication, and developing understanding of dividing to find quotients involving multi-digit dividends; (2) developing an understanding of fraction equivalence, addition and subtraction of fractions with like denominators, and multiplication of fractions by whole numbers; (3) understanding that geometric figures can be analyzed and classified based on their properties, such as having parallel sides, perpendicular sides, particular angle measures, and symmetry. In Grade 5, instructional time focuses on three critical areas: (1) developing fluency with addition and subtraction of fractions, and developing understanding of the multiplication of fractions and of division of fractions in limited cases (unit fractions divided by whole numbers and whole numbers divided by unit fractions); (2) extending division to 2-digit divisors, integrating decimal fractions into the place value system and developing understanding of operations with decimals to hundredths, and developing fluency with whole number and decimal operations; and (3) developing understanding of volume.